Description: Stock Photo of Crater Lake Park. 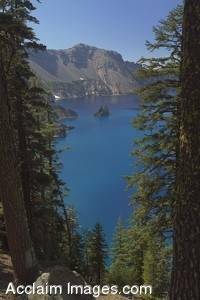 Looking between two very tall trees, you can see the blue waters of Crater Lake. You may license this image as stock photography or purchase it as an art print a poster.